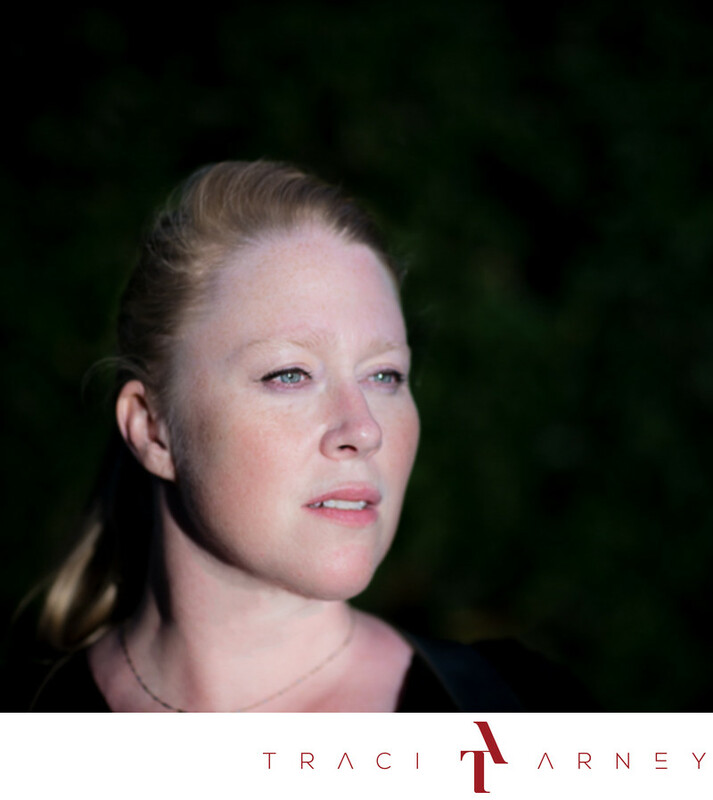 I am Traci Arney, owner and primary photographer at Traci Arney Photography. There are few things I love more in life than my kids and my family, but photography is always jockeying for top position. I've been making photographs since I was 13 years old and my passion has only grown. After graduating high school, I attended both Oxford University and Arizona State University for my BFA. My career began as a fine art documentary photographer and my work was featured in galleries around the world. When I began photographing weddings, I realized that they provided new challenges of creating art through wedding rituals and capturing moments that would tell unique stories of each individual I work with. Every love story is different. Every wedding is different. And every time I catch that perfect moment, I feel pure giddiness! People describe my work as artistic, cinematic and emotional. And the people who love me tend to describe me as daring, passionate, and loving. They also like to describe me as occasionally inappropriate, stubborn and a perfectionist. I embrace all these attributes as they only make me a stronger and more creative artist. I am fearless with a camera in my hand and shy without it. I am a junkie for a good emotional moment. I am relentless when I am trying to create. My goal is to take your breath away when you see your images. To make you say “What-the-how-where-was-she-holy-wowzers” as you go through your gallery of images. I want to lead you down an emotional path that connects you with the moments in time and the people you love every time you look at a photo. I want to be your engagement and wedding photographer. But, because I grow so attached to my clients, I want more - I want us to have a lifelong relationship where I am there to tell all the big moments in your life. New homes, new babies, family portraits, senior portraits, Christmas card sessions and even family vacations. I want to be your personal storyteller and historian. I, as well as my staff, want to provide you with the most amazing experience. During portrait sessions, we will cater to your every need, make you feel comfortable and truly seen in front of the camera. We can even stop for those occasional lubricating cocktails if necessary. For that reason, we won’t limit you to just an hour for your portrait sessions. And at the wedding, I will be catering to you, your spouse and your family. My second photographer will cater to your spouse's family and all your friends. Our other clients have praised this set-up because no one ever feels like they are invisible guests. We also have more time to tell your story when we are both working on the various threads separately. As with all our events, you have unlimited access to me (just text 910-594-4824!) as well as an Online Gallery and Storefront for you to share with family and friends. From this site, anyone can purchase prints and make selections for me to create an album. You can even share images on any social media platform. Each image you receive is fully edited to fine art standards and your gallery will be delivered to you within 4 weeks! All wall prints purchased will come to you hand-signed by me. Prints smaller than 11x14 will be shipped directly to the home of the person who purchases them. Telling your story and creating beautiful pieces of art that will capture you and take you back to this special day... It is my passion. Knowing I've served you well, made you feel beautiful and special drives me. I can't wait to become your photographer - not just for this event but for all the future happy moments, special occasions, and joyful life transitions.